Reconstruction work at the Guba Genocide Memorial Complex and burial of human remains were carried out in order to express respect of the Azerbaijani society to the deceased. Vice-President of Azerbaijan National Academy of Sciences (ANAS), member of the commission to investigate the situation at the Guba Genocide Memorial Complex, academician Isa Habibbayli made the remarks to Trend on February 13. He said that the commission, created last year by the decree of the head of the Presidential Administration, examined the issues, held a meeting involving representatives of local executive authorities, and assessed the situation. The commission’s proposals were submitted to the Presidential Administration. Habibbayli noted that one of the proposals was that the remains in the common grave should have been reburied according to the national and religious customs. “Having brutally killed people, Armenians threw them into wells. They were not buried in national and religious customs, but now they are buried in graves,” the scientist said. He added that majority of the killed people were Azerbaijanis, but there were also Jews, Lezgins and representatives of other nations among them. “Currently, the reconstruction work continues at the burial site. The burial in Guba shows the brutality of Armenians against Azerbaijanis, and to show this atrocity, some remains were left open,” Habibbayli said. The mass grave in Guba were found during excavation works in 2007. 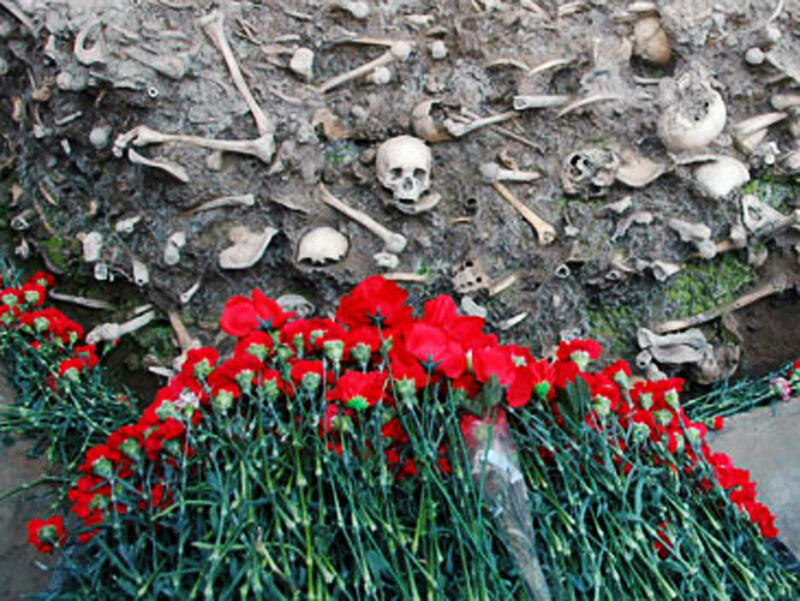 Workers of the Archeology and Ethnography Institute of the ANAS held extensive researches which revealed that the grave was related to the genocide committed by Armenians against Azerbaijani civilians in 1918. The genocide of 1918 against the civilian population was conducted almost on the entire territory of Azerbaijan. More than 50,000 of Azerbaijani citizens became victims of Armenian fascism in a matter of five months. In December 2009, President lham Aliyev signed an order on the creation of the Guba Genocide Memorial Complex.